A few months ago I came across an article about significant levels of cocaine and Xanax found in salmon off the coast of Seattle. Sounds like those fish were having themselves a party! Just kidding. It sounds like…I definitely don’t want to eat that fish or feed it to my family. But there’s definitely evidence that it’s affecting fish. How long until humans show problems with reduced reproductive capabilities and developmental problems too? I don’t think you have to be a rocket scientist to see we have a problem here. Pharmaceutical use is skyrocketing. What will our water be like in 10 or 20 years? What will our bodies be like after another 10 or 20 years of daily, low-level exposure? According to Harvard Medical School, we should attempt to reduce this problem by limiting bulk purchases, using drug take-back programs, not putting drugs down the drain or in the toilet, and carefully disposing of drugs in the trash so animals won’t eat it. It’s true, those thing will lessen the amount of drugs getting into the water supply. But what about what’s already in there?? So I took a hard look at my water filter. A couple years ago I wrote this article about why our clean drinking water is actually quite filthy. And I recommended this water filter because it reduces the toxicity of your water beyond EPA standards and even purifies 99.99% of viruses and bacteria. That’s way, way better than a Brita. Or most water filters out there. Happily, my Big Berkey also removes 99.5% of pharmaceuticals, including Erythromycin USP and Sulfamethoxazole (antibiotics), Progesterone (hormone), Naproxen Sodium (Aleve), Carbamazepine (anti-seizure med), Acetaminofen (Tylenol), and Triclosan (antibacterial & antifungal agent). Yikes. What a disgusting cocktail coming out of the tap. 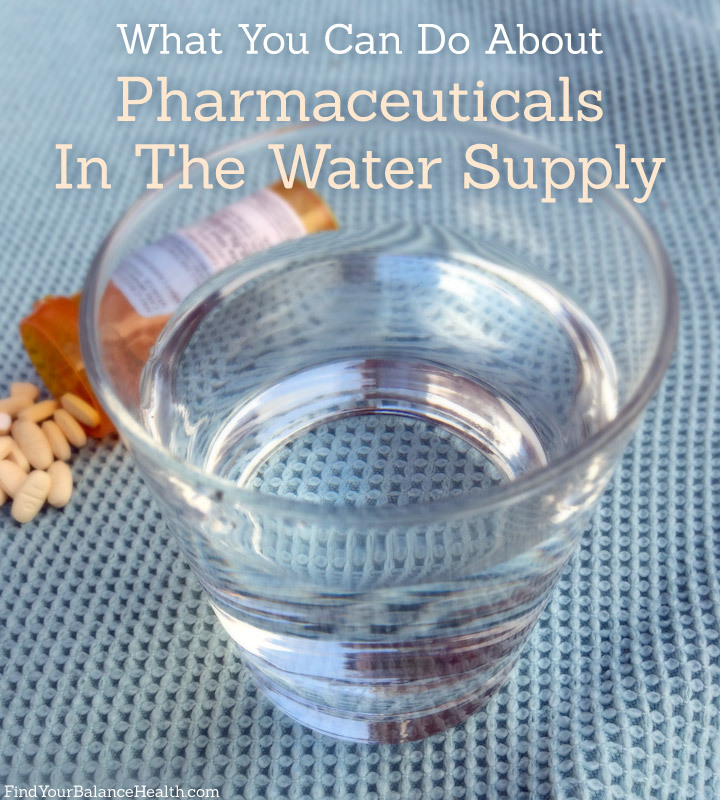 So THIS is what you can do about drugs in your water. Filter them out. Like I said, a Brita ain’t gonna cut it. Do your homework on this one, folks. Or, take my word for it. 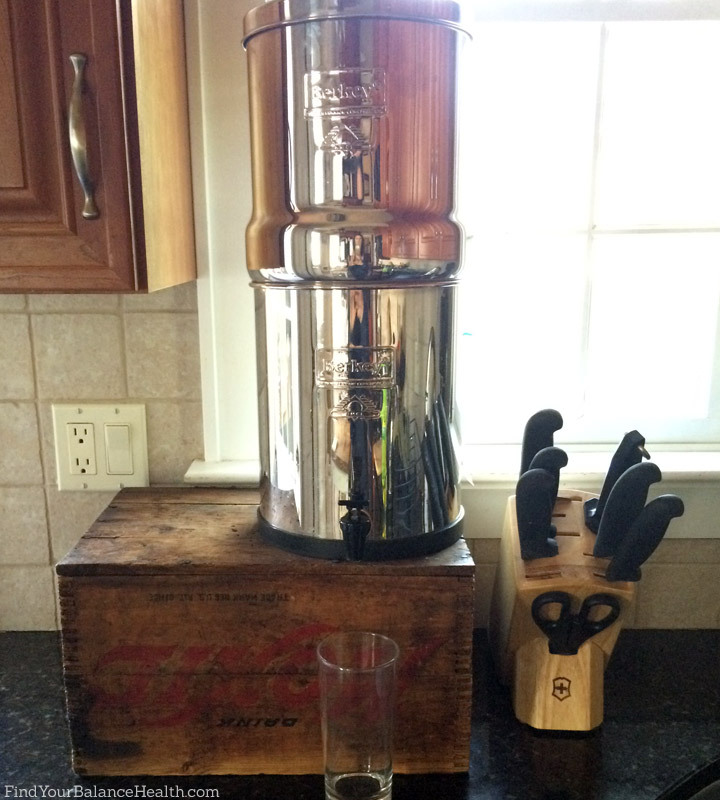 My Berkey filter has served me extremely well for years.